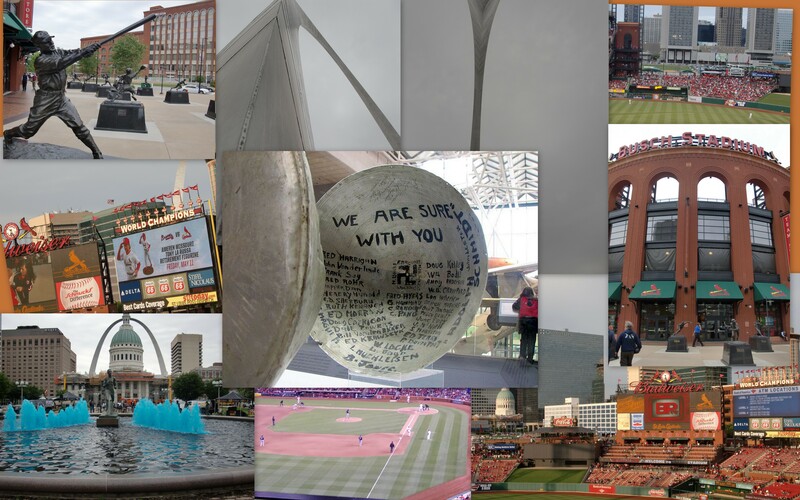 Here are 3 lessons for employee engagement I derived from a recent visit to St. Louis. Thanks to Recognition Professionals International for inviting me to their annual conference and offering me the opportunity to visit St. Louis and derive 3 lessons from the geography and history of this fine city. Fly with Spirit. Charles Lindbergh flew the Spirit of St. Louis on May 20–21, 1927, on the first non-stop flight from New York to Paris. The plane is famous and Lindbergh literally took the spirit of St. Louis overseas. The middle image of the picture collage above is the signature of the employees from Ryan Air who built the plane. Even when we fly solo we are indebted to others. In the field of engagement and recognition we should be willing to take more risks and pursue distant shores. Lindbergh flew to Paris, perhaps we can help organizations take flight and reach distant shore in results and organizational health when fueled by authentic and robust engagement and recognition. Be the Gateway. The Gateway arch is the most famous St. Louis landmark and one of the most iconic images to represent a city. It was completed in October of 1965. Robert Duffy wrote about the arch: “the Gateway Arch packs a significant symbolic wallop just by standing there. But the Arch has a mission greater than being visually affecting. Its shape and monumental size suggest movement through time and space, and invite inquiry into the complex, fascinating story of our national expansion.” We must be pioneers with engagement and recognition to ensure it is not dismissed as an extra or nonessential at work. We must help engagement and recognition arch both individuals and organizations from disengagement and invisibility to full engagement and ongoing recognition and appreciation. Never Quit. The St. Louis Cardinals World Series victory and amazing 2011 season is a lesson that transcends baseball. It is so easy to get discouraged or defeated when we don’t make the progress we would like to have at work. Yet the 2011 Cardinals were behind 10 and 1/2 games in late Augusts, 8 and 1/2 games in September, needed to win 3 of their last 5 games, and came back twice in game six of the of the World Series being just one strike away from elimination. We must keep taking our swings, never give up, and always know the game is not over until it is over. Leaving St. Louis with a bit of St. Louis in me. You don’t have to be in St. Louis to take away the lessons of fly with spirit, be the gateway, and never quit. Of course it does not hurt to put on the red St. Louis Cardinal’s baseball cap every so often to keep the spirit alive, enter the gateway, and never quit. David Zinger is an employee engagement expert who speaks around the globe on engagement and works at deriving history and geography lessons from each place he visits to do employee engagement work. David is an avid Blue Jays fan but he certainly appreciated and loved the engagement and tenacity of the St. Louis Cardinals last year.